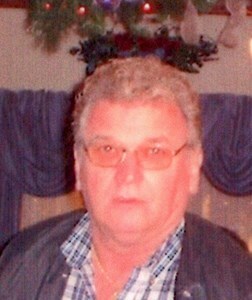 Newcomer Family Obituaries - Windell L. Sargent 1940 - 2019 - Newcomer Cremations, Funerals & Receptions. Windell Lawrence Sargent, age 78 of Dayton, passed away Saturday, January 19, 2019 at Grandview Hospital. He was born January 29, 1940 in West Liberty, Kentucky to the late Autie and Nellie Sargent. In addition to his parents, Windell was preceded in death by his siblings, Lonnie, Avery, Orear, Wince and Virginia. Windell is survived by his wife of 57 years, Kathleen (Powers) Sargent; son, Darrell (Kim) Sargent; granddaughter, Keli (Jake) Achs; great granddaughter, Tessa; sisters, Faye Adams, Ruth Lewis, Mary Smith and Sue Whitt; sister-in-law, Linda Singleton and well as numerous other extended family and friends. Windell retired March 1, 1995 from Starco Heating and plumbing as an HVAC technician. He was a devoted bluegrass music fan and attended many festivals and concerts. He also enjoyed following professional wrestling and always found projects and jobs to keep himself busy. Windell will always be remembered as an excellent provider. Family will receive guests from 10:00-11:00 am Thursday, January 24, 2019 at Newcomer Funeral Home, Kettering. Funeral services will immediately follow at 11:00 am also at the funeral home. Procession to Miami Valley Memory Gardens, Centerville for burial will conclude services. In lieu of flowers, memorial contributions may be made to Hospice of Dayton at 234 Wilmington Ave., Dayton, OH 45420. Add your memories to the guest book of Windell Sargent. Windell was my uncle my favorite uncle, him and I starting this joke about money every time I would come to visit I would ask him to loan me $10.00 and he would say idiot I don’t have any money he would say you have more than me why don’t you loan me money and we would just laugh ( he called me idiot just out of fun) so every Christmas and for his birthday I would send him a card with $1.00 in it just to make him smile and say look what idiot sent me, I will miss that but now he is with my mom his sister Virginia. Wish I could be there with everyone. Uncle Windell really never said that he loved you but you know he did and he said it to me one time in front of my mom and we all about hit the floor he looked at me and said that’s all you get that one time. Those are some of the memories I have but their is so much more I think I’ll keep them forever. So Kathy and Darell and family I know the pain you are going thru just remember he love you very much and I love you all.